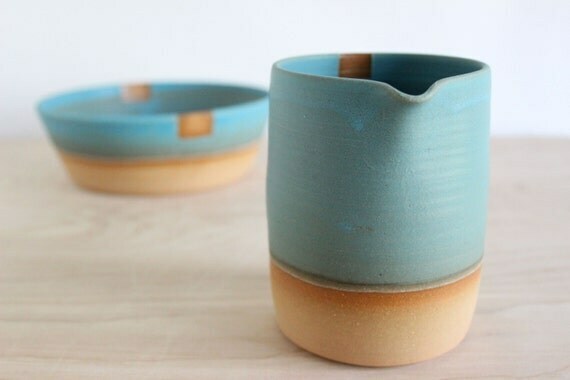 This beautiful vase by Julia Paul is the perfect mix of modern simplicity, with a hint of playfulness. 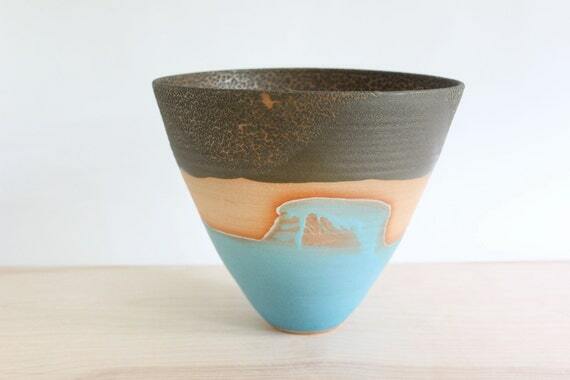 Her pieces are wheel-thrown and are inspired by nature and landscapes. 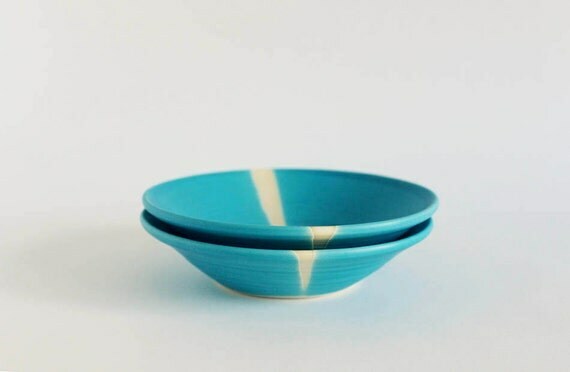 The glaze used on these small aqua plates, might make you think of the ocean. 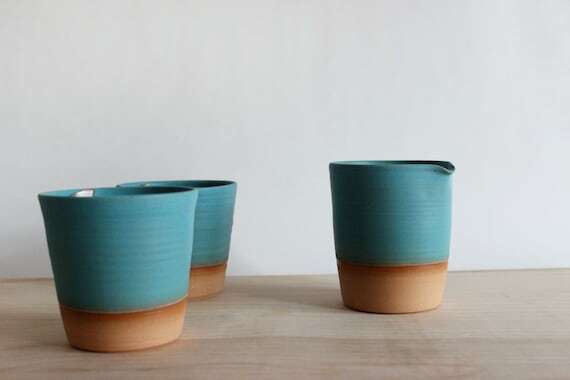 Her work is available at Julia Paul Pottery and on Etsy. 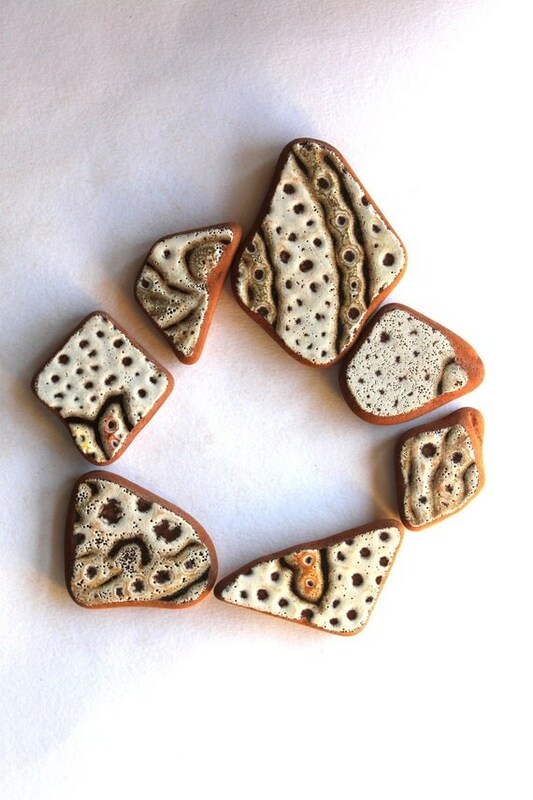 Alessandra Aurini sells beautiful Italian beach pottery, sea glass and jewelry in her shop Sea Zephyr. 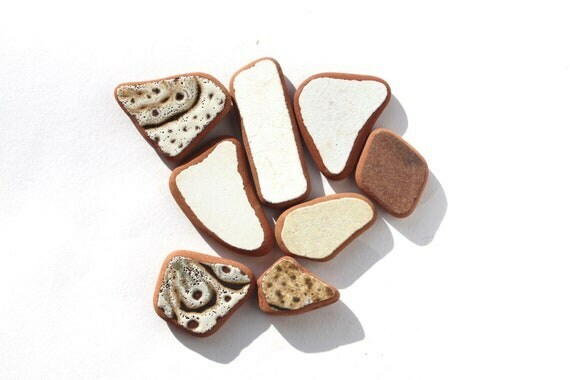 Beach pottery or sea pottery is formed when broken bits of pottery are smoothed and tumbled over a long period of time by water and sand. Some of this pottery can even be from the 18th and 19th century. 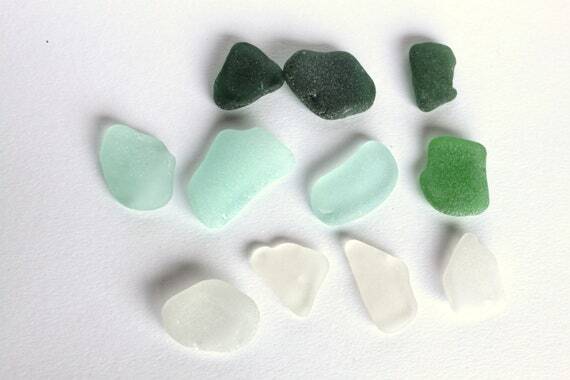 Beach pottery and sea glass can be used in a variety of different ways. 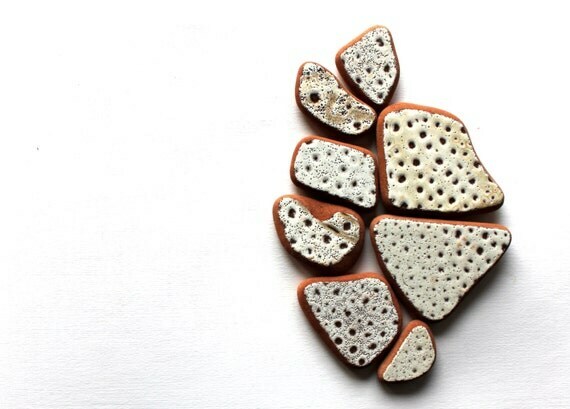 They can be used to make unique jewelry, mosaics, art installations, or even just for display. I really want to do something creative with these pieces of pottery. 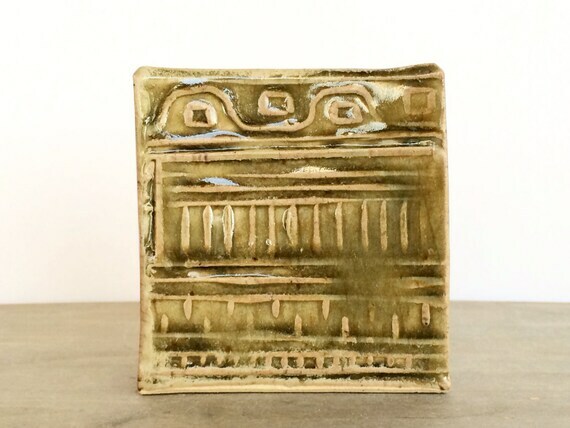 Vitrifiedstudio is a small ceramics studio based in Portland, Oregon and is solely run Shelley Martin. 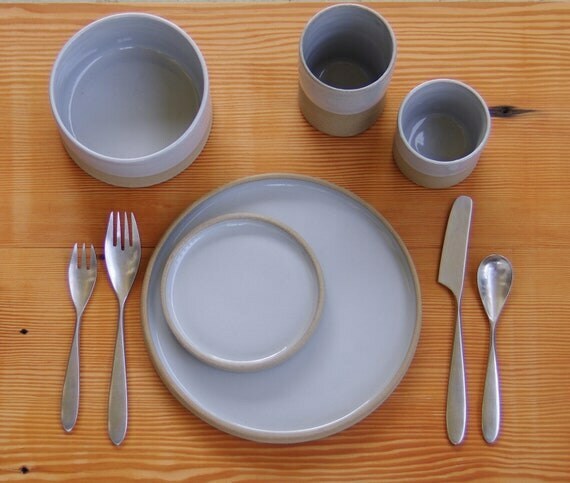 Shelley creates handmade minimalist and utilitarian pieces, which includes: bowls, serving trays, jars and dinnerware. 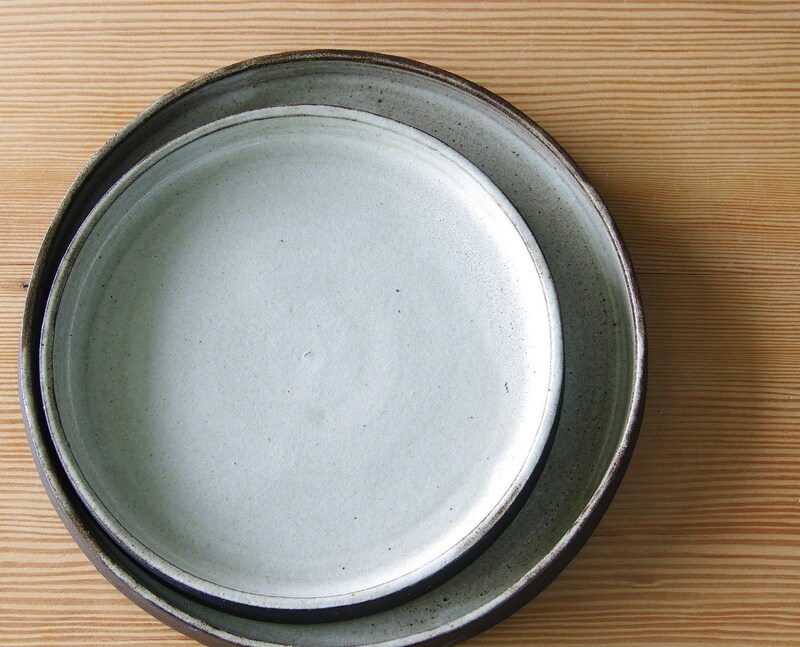 Each piece is made of high quality stoneware and porcelain clay. 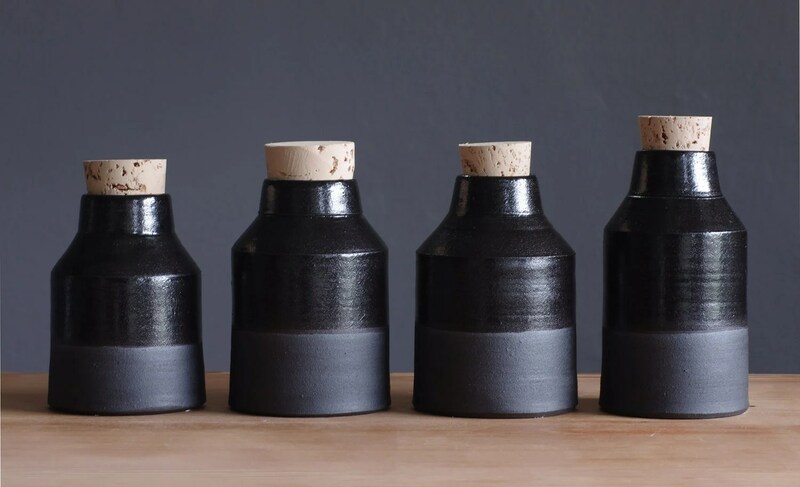 Her work is a modern take on everyday items. 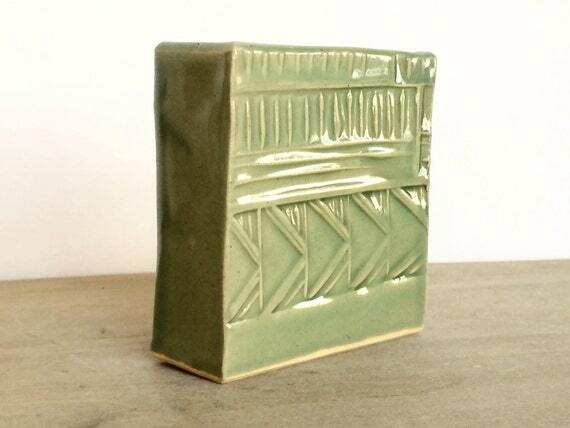 Shelley’s pieces feature very clean and simple lines, but maintains their own unique and individual character. Her work can be found at http://www.vitrifiedstudio.com/ and on her Etsy shop http://www.etsy.com/shop/vitrifiedstudio.